We took a leap in 2005 by quitting our jobs, selling our house in the D.C. suburbs, and moving back to Vermont, where Sarah was born. Since then, we’ve explored the local food scene, started a garden, taken up home brewing, and become shepherds. Along the way, we’ve gotten to know dozens of craftspeople around the state. 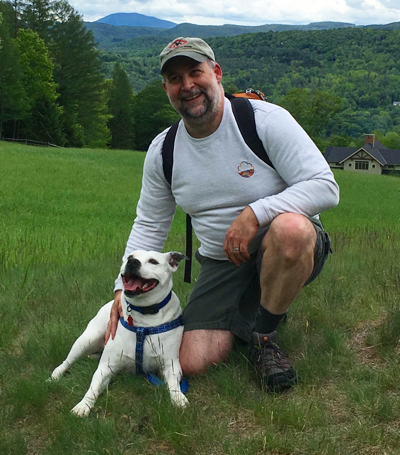 We want to share what we have learned, and introduce you to some of the amazing Vermonters who inspire us. During the winter and spring, Sarah is busy with Vermont Natural Sheepskins, the first natural tannery in the USA. Sarah enjoys knitting, spinning, and dyeing wool. 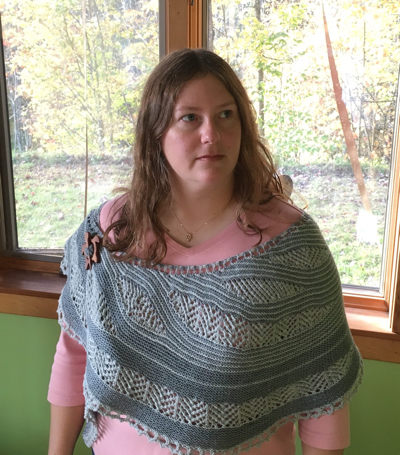 You can find her current knitting and spinning projects on Ravelry. Rick is a home-brewer, internet geek, landscape enthusiast, photographer, tinkerer, and amateur weather bug. Follow his photos on Instagram @rickscullyvt and check out the farm cam for a daily view of the homestead. That’s Leopold Regulus Potter with him above. Follow Leo on Instagram.